Once the harvest date had been set, that was it, our green hopped beer was on and the 10th September was the day. Once a year there is an opportunity to brew with freshly harvested hops. 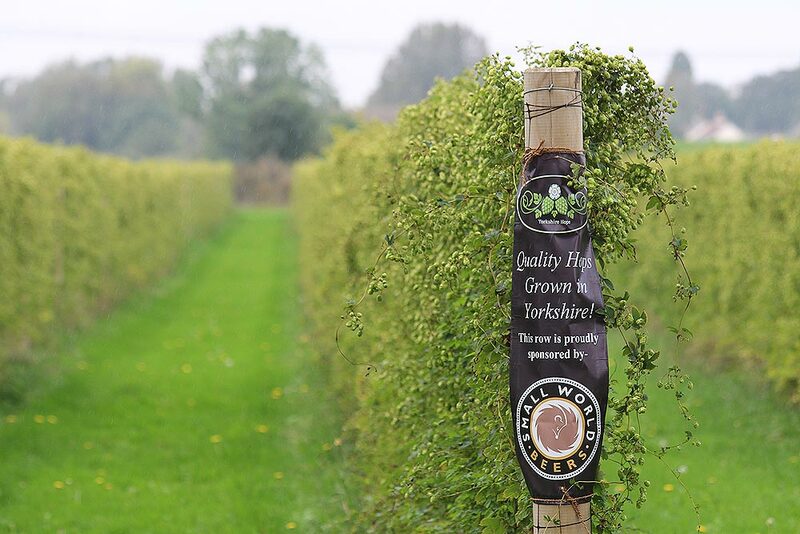 As hops are picked they tend to deteriorate in flavour and quality which is why they are kiln dried and packed at the farms on the day of harvest, allowing us to get our hands on the hops throughout the year. A Green beer would impart more subtle and delicate flavours if we looked after them, so to get our hands on fresh hops, Yorkshire ones at that, was a great opportunity for something different. Right who’s driving and who is going to start the brew was the topic of the 9th, and 24 hours later Pete was driving over to Yorkshire Hops near Brough as I mashed in, bit of a risk if the M62 does what it does from time to time but it was neither a Friday or Bank Holiday so, yeah we’ll be alright. The Fresh First Gold Hops arrived, bine to copper in 3 hours wasn’t bad, and were added to the end of the boil, 6 times as much compared to the dry hops we would normally use. Certain to be our freshest beer of the year and Yorkshire to boot, first initial tastings are of a clean pale ale with citrus notes and a spicy finish, nice surprise and Yorkshire Ness is born.